Update on all things PEC! "We belong to the earth far more than it can ever belong to us. We—God, humankind, and the earth—are tied together. We have no life apart from this Trinitarian interdependency and we are called to care for the earth as if we are caring for ourselves and our Creator. The health and well being of one—be it God or humanity or the planet—is dependent on the health and well being of the others." These were the words of my friend, the Rev. 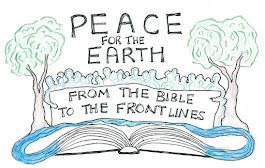 Jay McKell at a gathering of environmentally-minded people this spring at Village Presbyterian Church of Heartland Presbytery in Kansas. "We are to have dominion in the manner that God has dominion over us. In other words we are to heal, to help, to teach, to guide, to inspire, to create, and above all else, to love." Amen. There is MUCH going on in creation-justice work. General Assembly is scheduled for June 14-21, 2014, in Detroit, and PEC is working to support social and environmental justice overtures. Beginning this General Assembly, overtures brought forward by a Presbytery will need another Presbytery to concur with the main overture statement, although the rationale can be different. Please see Holly's article, 'Upcoming Environmental Overtures' on page 4 regarding current overtures, and reply to our PEC coordinator if you are interested in more information about any of these upcoming overtures. We are looking forward to a very meaningful PEC conference at Ferncliff in Little Rock Arkansas, October 16-19. 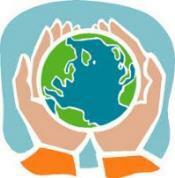 The theme for the conference is Ethical Earth Care: Keeping Creation Sacred. Elspeth Cavert, our previous PEC coordinator, has accepted the position of conference coordinator. She joins a team of visionaries, musicians, and prophets to lead us in a wonderful experience in sharing our passion and expanding our vision in Creation Care. Please be in touch with us regarding your work in earth care as we join together "to heal, to help, to teach, to guide, to inspire, to create, and above all else, to love" this beautiful gift of creation. Feel free to check out the entire Fall update here! Holy One, you are the page and the ink! You are the mystery and the reason for our organization/organizing. May we listen to your urgings. May we delight in your creation! Most of all may we be servants of Christ and stewards of all your wonders. At this meeting we will be confirming the election of the new Southeast Regional Representative to the Steering Committee, Paul Homeyer, and presenting the Bill Gibson Award and the Restoring Creation Award to this year’s winners. The membership will also be voting on amendments to the PEC bylaws that were approved by the Steering Committee at its July meeting. The bylaws require the membership to be notified at least 15 days before the vote. The following amendments will be voted on by the membership at the PEC Annual Meeting at Ferncliff Conference Center on October 18. The Steering Committee election will be conducted electronically in addition to a mailed written ballot prior to the Annual Meeting. The Annual Meeting will be conducted at the Steering Committee’s Annual Retreat. An Executive Committee, made up of the Moderator, Vice-Moderator, and Treasurer will have full authority to act for the Steering Committee in managing the affairs of the organization between meetings of the Steering Committee. A provision for the Steering Committee to fill a vacancy on the Committee, by appointing a successor to serve the remainder of the vacating Director’s term has been added. The Steering Committee may also authorize the Moderator to make interim appointments to fill vacancies. Any person appointed to fill a vacancy on the Steering Committee will hold that office until the Annual Meeting at which the successor is elected and assumes office. The Nominating Committee will be approved by the Steering Committee instead of being elected by the Membership. The Membership will still vote on the slate of nominees. A quorum will consist of one-half of the Steering Committee members. To view all the changes and edits to the bylaws see the blackline document. Looking forward to seeing you at the Conference in Little Rock, Arkansas.